Overnight stay. Friendly helpful lady at the front desk giving us local information on where to eat. Relaxing lounge area. Our room was very spacious and very clean. Would definitely stay again. Great location. Welcoming helpful staff. Clean and tidy comfy room. Stunned to note you allow dogs on the premises. Wouldn't have thought a hotel of this quality needs to downgrade itself by this action. How much extra revenue does it provide? In the long term may cost you. Clean, friendly pleasant motel. Breakfast was great. The price was right. I would definitely stay there again. Thank you! Boutique hotel a few minutes walk from Three Siste Reasonably priced little hotel with nicely appointed room. An added bonus is being just across the road from the Blue Mountains Chocolate Company. 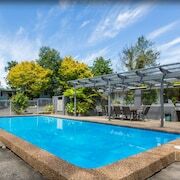 excellent value for money An excellent budget hotel close to everything. 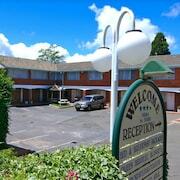 Right in the main street, easy walk to everything katoomba has to offer. Bed was very comfy and room was cozy. Sure, scrolling through your mates' travel posts is fun. 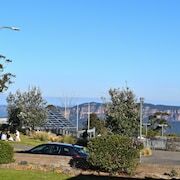 But with such a fantastic range of accommodation options in Katoomba, why not take a break and snap your own #DoYouTravel masterpieces instead? Whether you're after something flash or low key, there's plenty of choice here. 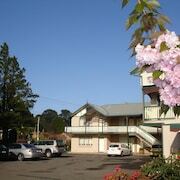 lastminute.com.au has 45 great digs all within 5 kilometres of Katoomba's centre. If you enjoy birdwatching, stop into Katoomba Scenic World. It's all about location! Book a stay at the Echoes Boutique Hotel and Restaurant and Lilianfels Resort & Spa - Blue Mountains and you'll be pretty much next door to it. If you've got some pennies for a rainy day, go to Leura Mall to buy the basics and a treat for yourself! Fairmont Resort Blue Mountains MGallery by Sofitel and Piccolo are two good places to crash out if you don't fancy staying miles away. You might also like to check out the Secret Valley Escape or the Silvermere. 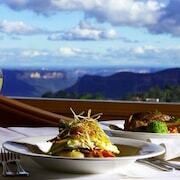 The Secret Valley Escape is 12 kilometres away from central Katoomba, and the Silvermere is 7 kilometres away. We'd also recommend the Whispering Pines Cottages and the Federation Gardens & Possums Hideaway. The first is 7 kilometres away from the center, while the latter is 6 kilometres away. Need more options? Hole up like a rockstar in Mount Victoria (just try not to trash the joint). Located 13 kilometres away and home to the Campbell Rhododendron Gardens and Pulpit Rock Lookout, it's bound to be a journey to remember! 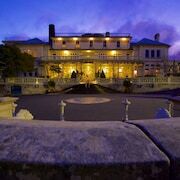 Some of our recommended Mount Victoria accommodation options include the Gardners Inn Hotel and Parklands Country Gardens and Lodges. 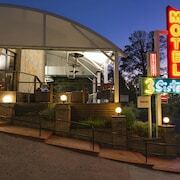 25 kilometres to the east of Katoomba you'll find Faulconbridge, home to the Storey Grange and Pioneer Way Motel. The Valley Heights Locomotive Depot Heritage Museum and the Norman Lindsay Gallery & Museum are just some of the most popular attractions to explore when you're in Faulconbridge. Totally over aeroplane food? Dying for a bit of privacy? Then you'd be bonkers not to see if you can snag a room at the Rydges Sydney Airport Hotel or the Mercure Sydney International Airport. 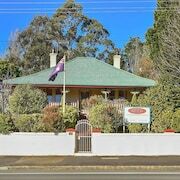 They're both super close to Kingsford Smith International Airport, 85 kilometres from the centre of Katoomba.